A quality glass golf award for Longest Drive achievements. Features a clear glass golf ball set on diamond shape stem inset with the legend 'Longest Drive'. Sits on a multifaceted collar and mounted on a black glass base with engraving plate. 7.25in / 184mm tall. 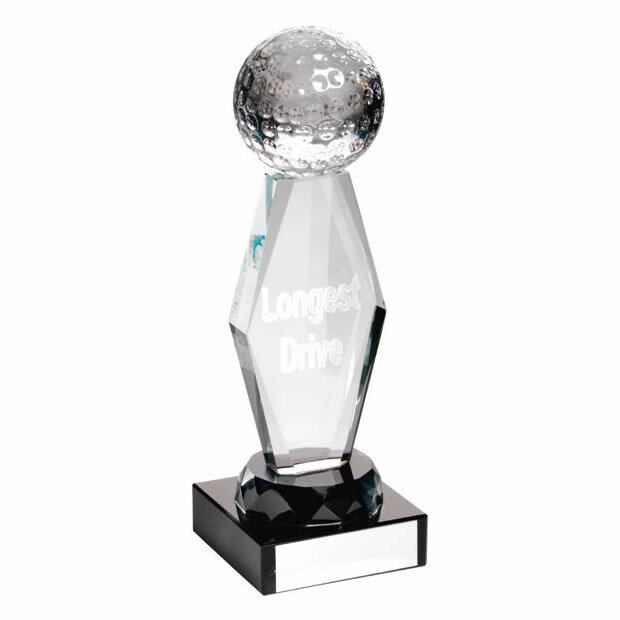 These clear glass golf Longest Drive awards trophies are supplied with a quality presentation case.